This week the Bristol Post has announced that the construction of 161 new homes will begin in the site of a former primary school in Southmead, North Bristol. 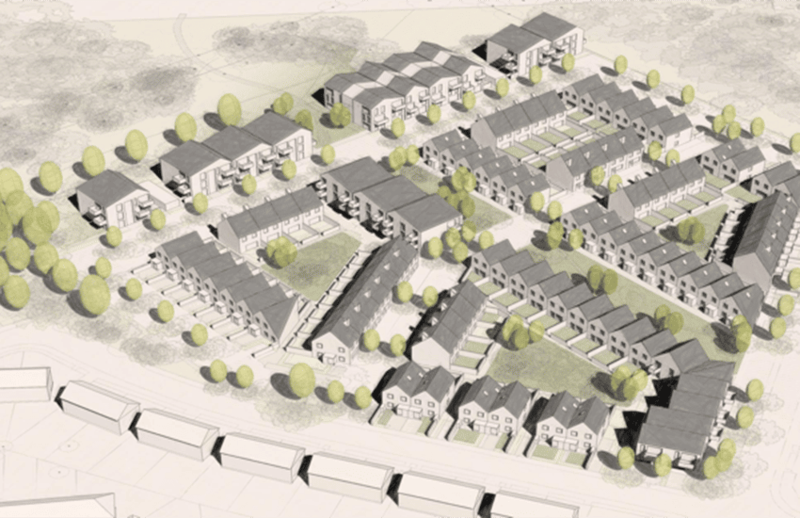 The housing scheme is a partnership between HAB Housing, United Communities and Bristol & Bath Regional Capital (BBRC) and aims to contradict the current gentrification trend seen across the country by bringing together home buyers, renters and those in social housing. Further to being a mixed tenure scheme the development will be built taking the environment into consideration including several green paths, cycle lanes and using energy in an efficient sustainable way. The scheme is made up of one and two-bedroom apartments, and two, three and four-bed houses. Southmead locals will be given preference when looking to rent or buy. Of the 160-homes, over one third of the units will be affordable and owned by United Communities, over a third will be for open market sale by HAB. The final 40 units will be purchased by BBRC and Cheyne Capital’s Social Property Impact Fund who will provide 100% of the required £6.1m up-front capital needed and will issue BBRC a 40 year lease on the properties. The scheme hopes to benefit those faced with the housing crisis by applying both an ethical lending policy and affordable housing, furthermore the sustainable way the houses are built guarantees lower bills to the new tenants. Prospective homeowners can register their interest with HAB now, with sales expected to begin in early 2018.